Fimo beads are the cute little decorations that designers use to create their own products. They are colorful bead work and they come in every several style, designs and shapes. Sometimes Fimo beads are square, the shape of a cylinder or even a circle. The colors they are available are endless. If you’re interested in making your own jewelry, this project would interesting for you. 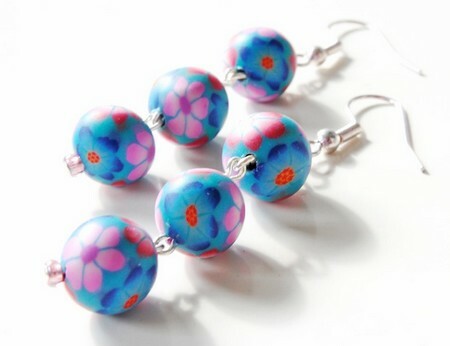 Perhaps, you can save money by not having to purchase your Fimo beads from an outside place. Here is how you can make your own Fimo beads. Continue reading for more information on making these colorful decorations. Polymer Clays in a variety of colors. Choose some polymer clay in any color you want your Fimo Beads to be. The choice is completely up to what you need. Work the polymer clay. Use your hands to soften and heat up the clay. This makes it easy to work with and manipulate. Separate the clay into small circles that are the same size. You want to make sure these are about the size of a penny or bigger. You don’t want them to be any smaller than that. Use a single ball of clay and make them into a cylinder. Do this by working the clay between the palm of your hands. This technique will result in the veining of the clay. Look at the veining. If you don’t like the results, you can always do this step over until you have the results you need. Use a toothpick for this step. Insert the toothpick in the middle of the Fimo beads to make the hole where you will thread them later. You can use a crochet needle or knitting needle as alternatives to the toothpicks. Place your Fimo beads on the cake tin to begin the drying process. Hanging the beads will ensure that they keep their proper shapes. Bake the Fimo beads in an oven while hanging at about 2650 F or 1300 C. The baking process will take about 30 minutes. After this point the Fimo beads will get hard. Allow the new Fimo beads to completely cool. Remove them from the oven and tin one at a time. Be careful and use caution. The beads are hot and easily misshapen. Place them in the flat tray. Spray the Fimo beads with a coat of protective varnish. Do this one they are completely hard. To create a really abstract look, mix different color polymer clays.